Roxette tenían planeado iniciar la última etapa de su extensa gira RoXXXette 30 aniversario el 3 de junio. Sin embargo, la cantante Marie Fredriksson ha sido aconsejada por sus médicos evitar viajar y como consecuencia todos los conciertos de su gira de verano han sido cancelados. Su última actuación fue la que llevaron a cabo en el Grand Arena en Ciudad del Cabo (África del Sur) el 8 de febrero de este año. En palabras de Marie Fredriksson: “Han sido 30 años maravillosos! No puedo sentir otra cosa que una enorme alegría y felicidad cuando miro hacia atrás y recuerdo las giras mundiales de Roxette. Todos nuestros espectáculos y recuerdos a través de los años siempre serán una parte importante de mi vida. Estoy particularmente orgullosa y agradecida por haber regresado en 2009 después de mi grave enfermedad y haber sido capaz de volver a girar por todo el mundo con Roxette. Por desgracia, ahora mis días de gira han terminado y quiero aprovechar esta oportunidad para agradecer a nuestros maravillosos fans que nos han seguido en nuestro largo y sinuoso camino. Espero con interés el lanzamiento de nuestro álbum “Good Karma” en junio – para mí es nuestro mejor disco de la historia! “. Para el reembolso de las entradas, los interesados deben ponerse en contacto con el punto de distribución más cercano. Live Nation – Dimberg Management. El último single de Roxette “It Just Happens”, fue editado el 8 de abril y su décimo álbum de estudio “Good Karma” será publicado el 3 de junio. Roxette acaba de anunciar a través de un comunicado en su pagina de Facebook que cancelan su gira de verano por recomendaciones médicas debido al estado de Salud de Marie. Todos aquellos que hayan adquirido entradas para algunos de sus conciertos se pueden poner en contacto con los promotores locales para su devolución. Desde Roxspain mandamos toda la fuerza y cariño del mundo a Marie, para su pronta recuperación. Os dejamos el comunicado oficial (En Inglés). ROXETTE CANCEL THEIR SUMMER TOUR. 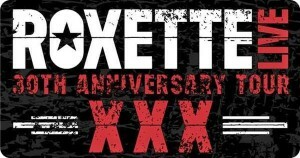 Roxette were supposed to start the last leg of their massive RoXXXette 30th Anniversary Tour on June 3rd. However, singer Marie Fredriksson has been advised by her doctors to refrain from touring and as a consequence all the summer shows are cancelled. Their last performance was to be at the Grand Arena in Cape Town, South Africa on February 8 earlier this year. Marie Fredriksson: ”It’s been an amazing 30 years! I feel nothing but joy and happiness when I look back on the Roxette world tours. All our shows and memories over the years will forever be a big part of my life. 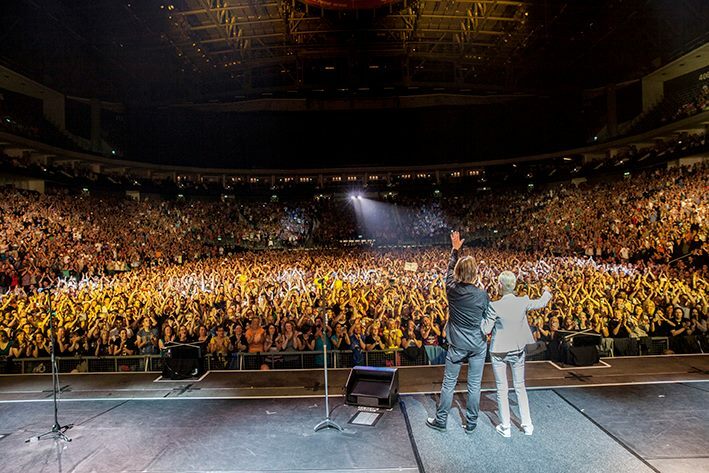 I’m particularly proud and grateful for coming back in 2009 after my severe illness and to have been able to take Roxette around the globe a couple of more times. Sadly, now my touring days are over and I want to take this opportunity to thank our wonderful fans that has followed us on our long and winding journey. Per Gessle: Who would have thought this small town band from the Swedish west coast were to be still on the loose after 30 years! We’ve done mind-blowing gigs all over the world that has taken us far beyond our wildest and craziest dreams. I want to thank all our fellow musicians and collaborators on and off the road. Thanks also to our beautiful fans, all of you who have listened, encouraged, waited, travelled, all of you who have shared the singing, laughter, joy and tears. Most of you have been just as much part of Roxette as we have! Without you, nothing (and I mean nothing!) would have been possible. Most of all I want to thank the mighty Marie, the Amazon of the holy voice, the Goddess of superb rock performance, the liberated and magnificent interpreter of my humble words and music, for this magic carpet ride which took us to the top of all the mountains. My God, what a great view we’ve had! The joyride on the road is over now – but we sure had fun, didn’t we? Marie Fredriksson and Per Gessle formed Roxette in 1986 and their debut single was ”Neverending Love”. In April 1989 they became an overnight sensation with ”The Look” and their huge international break was a fact. Since then they have toured the world again and again. Fans from all different corners of Planet Earth have been equally enthusiastic, faithful and devoted; from Birmingham to Buenos Aires, from Vancouver to Vladivostok, from Sydney to Stuttgart. 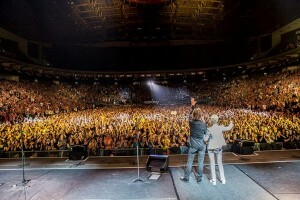 Roxette performed a grand 557 shows in front of millions and millions of cheering people. 75 million albums sold, 51 singles released, four US Billboard number ones and countless top hits on worldwide charts make Roxette one of the most successful bands in the history of pop and rock. Roxette’s latest single ”It Just Happens” was released on April 8 this year and their 10th studio album ”Good Karma” will be released on June 3. For ticket refund, please contact local point of purchase.